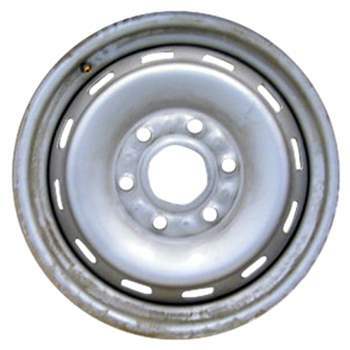 This is a 12 Slot 16x6.5 Inch, 6x5.5 Bolt Pattern, One Piece Steel Wheel, Rim. The position on the vehicle is Universal. 4x4 models. Interchange Number is 1622. Manufacturer Part Number is 9591697; 9592306; 9592242; 9592835. Identification Stamp Number is RAM; RDD; RAP; RFK; RNB. Our company is not affliliated with General Motors. All trademarks mentioned herein belong to their respective owners.